The Elkay ELUHAD312045RPD Gourmet Perfect Drain Double Bowl Sink is designed to elevate the culinary experience and bring professional grade into your home without the distractions of an industrial look. This sink is part of the Lusterstone collection and was created, designed, and manufactured here in the United States by the Elkay Manufacturing Company. 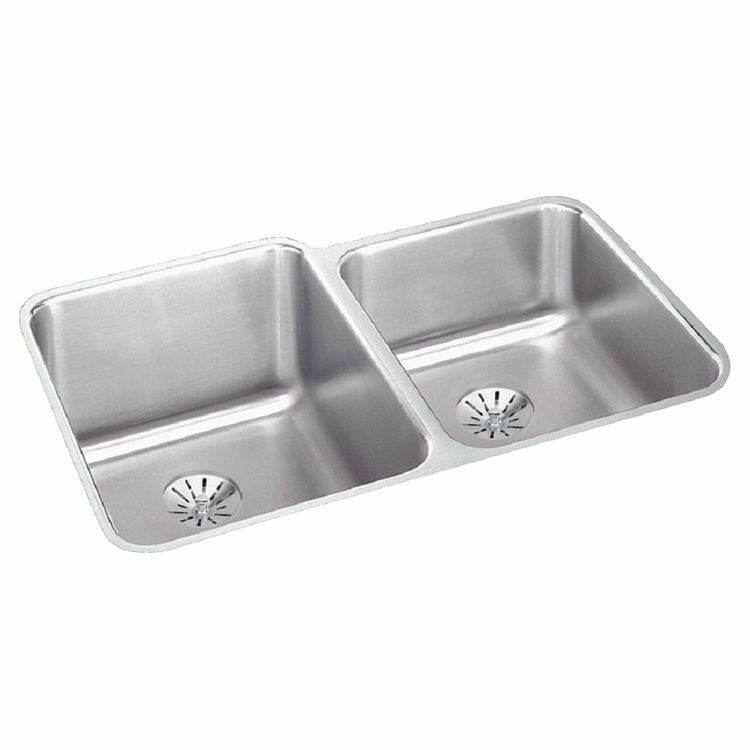 This Single-Bowl Sink is constructed out of Type 304 stainless steel, a high-quality steel which is non-porous, hygienic, durable and able to resist rust and corrosion throughout its lifetime. The Sink's underside is also fully protected with a special undercoating to help dampen sound and reduce condensation. 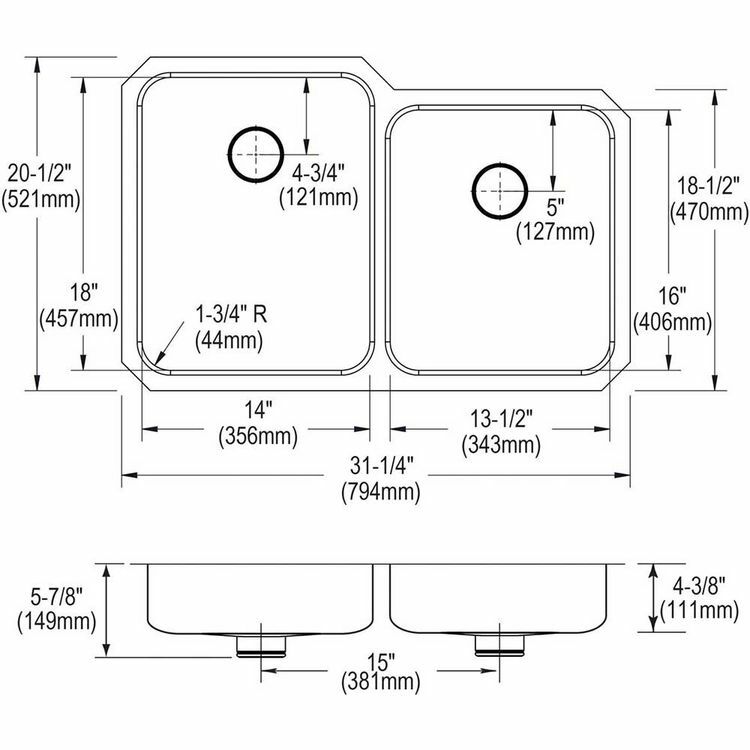 The 3-1/2 inch drain holes for this product are centered left to right but off centered front to back placing it at the back of the sink. This Elkay ELUHAD312045RPD Gourmet Perfect Drain Double Bowl Sink has a rounded rectangular design perfect for a corner mount application. Additionally, this sink features an 18 gauge nickel bearing body and it is designed to affix to the underside of any solid surface countertop. This sink bowl measures 14 inches long and 18 inches wide with a depth of 4 3/8 inches and the bowl on the right measures 13.5 inches long and 16 inches wide with depth of 4 3/8 inches. Polished to a lustrous highlighted satin finish, this corner bar sink is just what you need to bring a new modern look to your home. As with many other high-quality products from Elkay, the Elkay ELUHAD312045RPD Gourmet Perfect Drain Double Bowl Sink comes with a Limited Lifetime Residential Warranty against any manufacturer defects.